General Hospital (GH) spoilers tease that Drew (Billy Miller) will get some shocking news soon. He’s desperate for any little nuggets that could give him a better understanding about himself. Drew just wants to get a grip on who he used to be and how he grew into that man. Fortunately, a huge piece of the puzzle will be revealed in the coming weeks. General Hospital spoilers say Franco (Roger Howarth) will have a surprising realization on March 1. It’ll be followed by a heated faceoff. Franco will spar with Jim Harvey (Greg Evigan) on March 2, so it sounds like the truth will come out at last. Based on all of GH’s clues, Jim appears to be the bad guy in all of this. Franco’s been deeply disturbed thanks to all his nightmares and memory flashes. He currently believes he tormented Drew as a kid, but that doesn’t seem to be the case. 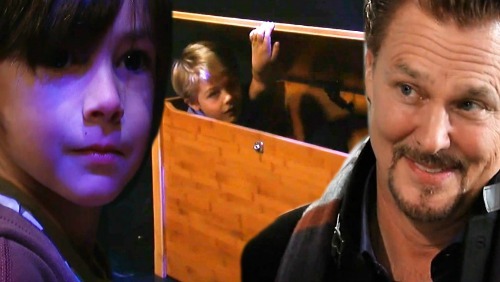 General Hospital fans saw Bobby lock Andy in a trunk during a game of hide and seek. As Andy cried out for help, Bobby looked around nervously. There’s a good chance he heard Jim coming and simply wanted to protect his pal. Of course, the real issue is the staircase tumble. That may be part of Franco’s upcoming epiphany. A flashback might show that Jim shoved Drew and let Franco take the blame. Once all this info is exposed, Drew’s sure to be stunned. He’ll certainly have to rethink a few things. 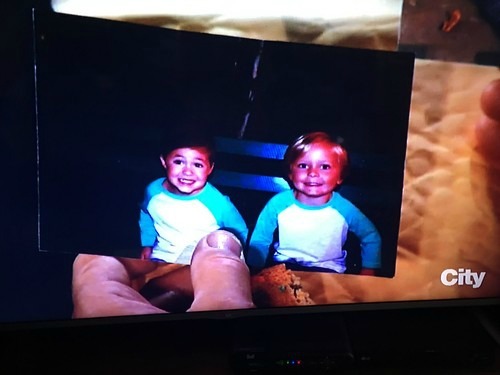 Drew and Franco will probably never recapture the friendship they had as boys, but this could help promote peace between them. Jason’s (Steve Burton) the one with the most hatred for Franco anyway. Drew will never forgive Franco for what he did to Sam (Kelly Monaco), but he’ll at least have to acknowledge that Franco was once his hero. Perhaps the story will even jog Drew’s memory. He may relive this childhood trauma and ultimately learn more about who he became after that. Drew might’ve been influenced by Franco’s brave behavior in one way or another. That could’ve been why he became a Navy SEAL. Drew might’ve wanted to be heroic the like the “brother” he was once ripped away from. Bottom line, Franco’s discovery could lead to many more discoveries for Drew. This could put him on a path to the whole truth. We’ll give you updates as other GH details emerge. Stick with the ABC soap and don’t forget to check CDL often for the latest General Hospital spoilers, updates and news.